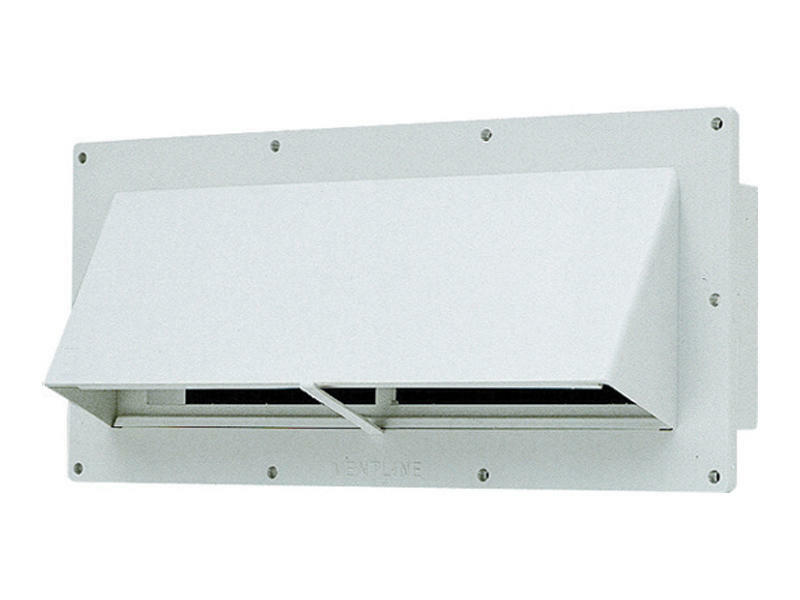 Weatherproof outside vent features a lockable damper, heavy styrene construction and a 1-3/4 inch inlet flange. Rough opening is 3-3/4 inches x 10-1/2 inches. Overall size is 11-5/8 inches x 5-9/32 inches. Polar white.